So, I’ve been living on Low Sec at least partly, usually fully since the end of the previous year, so I feel somewhat qualified to speak on what type of PvPers you find here. In my head there are two main sub-groups that entities I have met fall within, before dividing again into many, much smaller sub-groups. There are far too many notable groups out there to mention here, so please do not consider the entities mentioned here any sort of complete list. Shadow Cartel – My first experience with such group, recently described by Wey’oun of D’n’D in this TMC article as “wanting to fit 100mn ABs to anything with a mid”, most likely referencing their 100MN Tengu fleet which they run from time to time. I have also seen them field Claymores with single-ET Basilisks (for the brave of heart only) and good old fashioned heavy armour battleships with triage support. Rivaled only with DnD is their dread fleet, though I have yet to see this in action first hand. Drunk’n’Disorderly – Though recently disbanded, it would be a disservice not to mention them here. With an outstanding Dread fleet which I have faced on multiple occasions, as well as being dropped on them in multiple Bhaalgorns and Faction BS when I was running a mid-sized UNI fleet, not to mention this fantastic welp. I have heard them called “the PL of Low Sec”, an apt name given they are were very popular batphones. 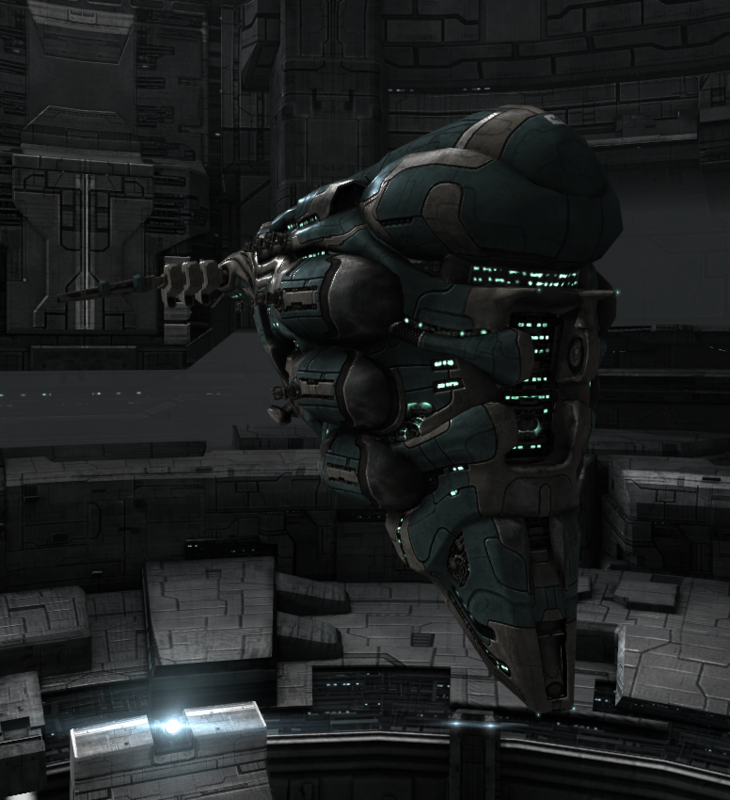 Urine Alliance – More commonly known as Snuff Box (or CCP CTF runners up 2013), their current most popular setup is to bridge large groups of Absolution-class battlecruisers with guardians onto anyone foolish enough to engage their fishing T3s or Recons within Bridge range of Sujarento. Another notable fleet fo theirs is their Armour Arty Machs, dropping 20-30 of them with guardian support at optimals to an ongoing engagement and blapping anything stupid enough not to get out of their way. Regardless of their own personalised doctrine, each of them can bring some serious heavy armour brawl to the table when there’s a grid to be owned. In general, groups such as these will have capital escalation on standby in case any of their pimped out fleets get into any trouble, and I would probably do the same if each lossmail was going to be at least 400mill a pop. There are occasions where many of these groups will band together to achieve a common goal, such as the recent Revenant kill. The Tuskers – A dedicated group of Pirates who focus on excellence in small-gang and solo PvP with demanding entry requirements, while retaining a family friendly corp culture. 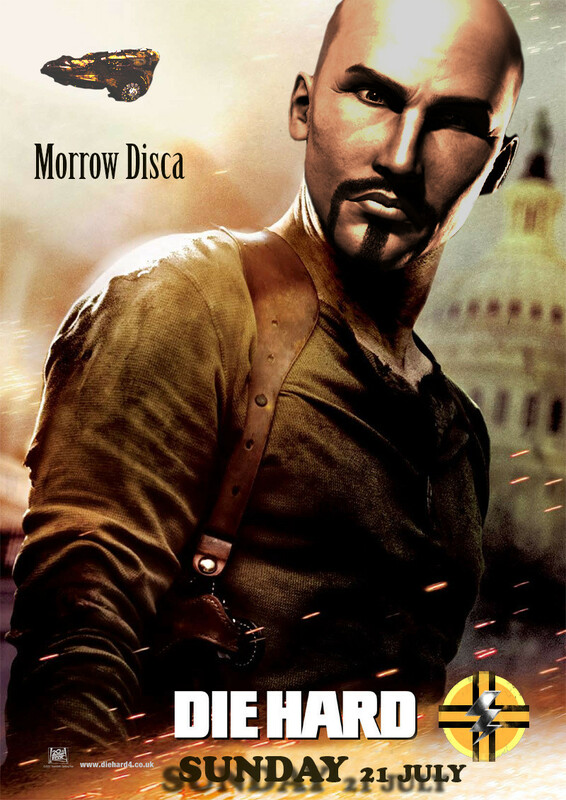 One such notable past member is Azual Skoll, author of possibly my favourite eve blog; The Altruist. I almost want to have another section for groups such as the Tuskers, as by all means they have the experience, the SP and likely the ISK to do what the Bourgeoisie do, yet I prefer to think of them as our working-class heroes. 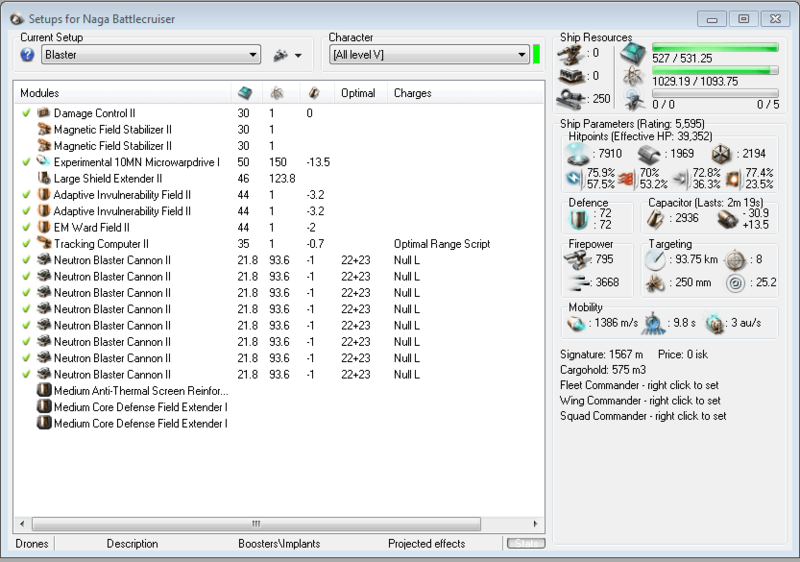 SniggWaffe – My own corp, the PvP training and feeder corp for Sniggerdly, the executor corp of Pandemic Legion. I once heard us described as “A bunch of psychopathic 5 year olds given switchblades which PL have thrown into the playground with all the other children”. 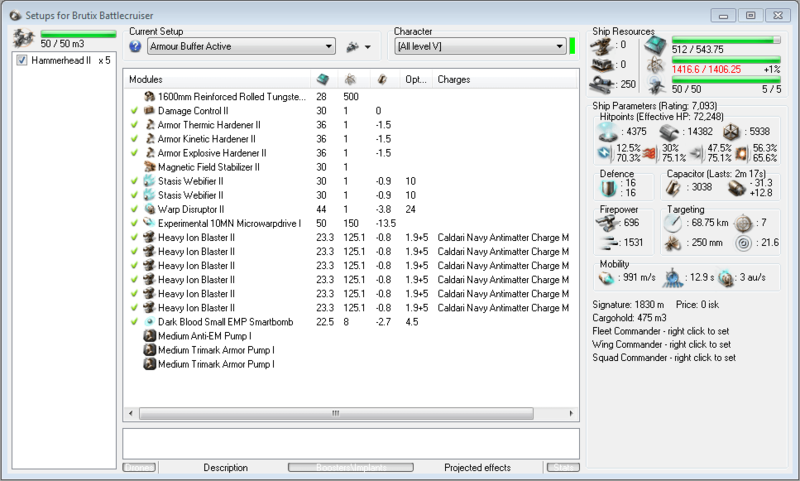 Fweddit – Yes, I know they’re on deployment to fight in Fountain with the CFC. Still, for a very long time they were the powerhouse of the Amarr militia, their most well-known fleet concept being “Panzers”, the Maller/ONI/Augoror blob which was probably the first and biggest impact of the T1 cruiser changes back in November. I had a great number of enjoyable fights with them while they were still down in low sec and hope to see them return very soon. Brave Newbies Inc. – Somewhere halfway between E-UNI and Fweddit, a dude from Reddit decided to create a corp for noobs, got a huge number of members and promptly moved them to Rahadalon, thanks to which SniggWaffe, a 220-man corp at the time, had the 7th most kills of any corporation in all of EVE in March of this year. Over time BNI have had to regulate some of their famously open procedure which they were very much against in the beginning, but you can’t really blame them for it. Not only that, they have graduated from constant frig swarms to T1 fitted cruiser and BCs. Hell, I even saw one of them in a Raven once! Since our bromance in Rahadalon we’ve maintained good relations, and with their recent move to Barleguet in Placid I look forward to interacting with them in the coming weeks. 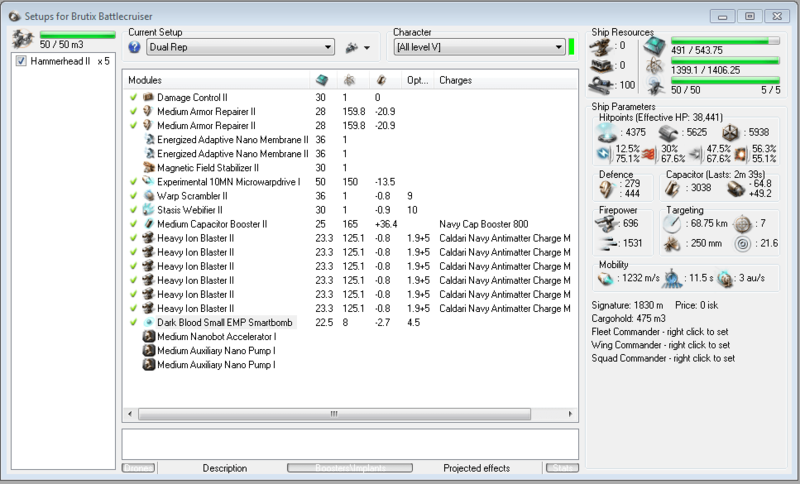 BNI is very reminiscent of early-day Goon/TEST, grab 200 dudes in frigates and just bloody go for it. FW groups in particular will maintain POSed up links in their home and surrounding systems, though there is a great variance of attitude within each Militia. Waffles currently live only a few jumps out of the main Gallente staging system, some of their corps love a good even brawl, yet others prefer to blob a;ll their fights and take fewer risks. To each their own. One of the wonderful things about Low Sec is that every system or two will be the home base of some corp or alliance, with their own culture, doctrines, attitude and resources. Learning about your neighbours is a must to get involved round here, and it’s a very enjoyable experience, be they 20-man corps of a few friends, hi-sec gate-campers, giant null entities on deployment or any other type of group you mention. Each constellation has its own flavour, yet is constantly evolving and adapting to those around them, which is one of the main reasons I find EVE such a beautiful game. This entry was posted in Education, Filthy Piracy on July 31, 2013 by Apoth. This entry was posted in ATXI on July 29, 2013 by Apoth. This entry was posted in ATXI on July 22, 2013 by Apoth. This entry was posted in ATXI on July 20, 2013 by Apoth. We just released a video with footage from our Delve/Fountain Deployment. I FCed some of the engagements featured in this video, and was present in most of the others. This entry was posted in Filthy Piracy, Video on July 14, 2013 by Apoth. So I realised I haven’t done many battle reports lately. Usually I like to tie them in to some grandiose point I’m trying to make, but since we’ve moved to Kinakka I’ve been having so much fun I just want to share the raw joy of EVE for it’s own sake, in the form of a selection of fleets I’ve FCed. Before that however, I just want to mention that I have been listen on eveblogggers.com, an awesome site that keep a list of active EVE blogs. It’s how I found out about EVE blogging and through the blogs themselves how I got inspired to start my own, so you should totally check it out. Anyway, pewpew time! To celebrate our moving to Black Rise I took out our first fleet after the move; dual-prop Thoraxs with Celestis/Augoror support. We had with us 3 ‘Ceptors and a random Arazu to start with so it was a fairly beautiful comp, though I would have been happier with 1-2 more Augs (we had 3). I set us on a looping path through Black Rise, a region I’m relatively familiar with thanks to my days in the UNI. Note that our friend in the Hugin was from the 2013 Capture The Flag runners up team. He jauntily told us from his pod “don’t go anywhere faggots, we’ll fight you”. Now, I have learnt a few things about what Snuff box mean when they say this, so we moonwalked straight out of system. We continued on our merry way, with (to my massive and completely real suprise) a Snuff Arazu jumping into a system with us, failing to click cloak long enough for us to lock him. Because I’m not a TOTAL retard I called for us to align while blapping it. Sure enough a T3/Guardian/Absolution/Damnation fleet dropped so we o7ed out taking no losses. Still, we set up on the J5a gate in EI- due to the great traffic moving through. I have never gotten so many kills in such a short time. After a few minutes of frantic bubbling/pointing/blapping a Caracal Fleet, a Megathron Fleet and a ‘Nado gang joined us in local, all of which posed a big threat to our 20-man gang of cruisers. We set up a rolling safe to wait for them to pass through, but it became clear that the Caracals were hunting us down (especially when they probed us down and warped otno a few guys a bit late in the rolling), so we extracted. 2.14B killed for 200mill lost. Today was a good day. On the way back we picked off anything we could in our path as we defensively bubbled outa there with the Caracals hot on our heels. And thus we got back home and started rage-pinging bombers for the big fight going on, but sadly CCP Blueballed us by accidentally the whole server before we could get involved. 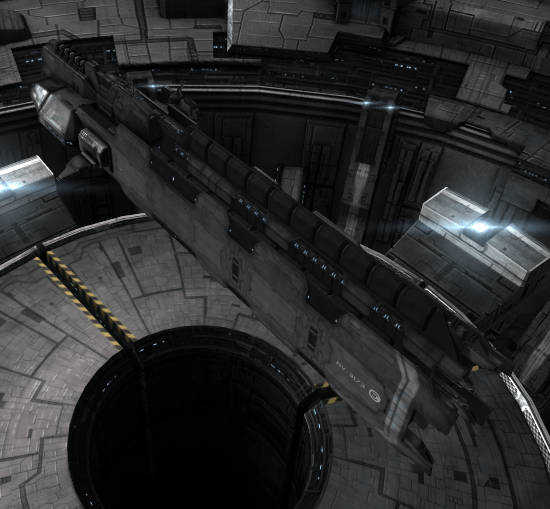 So that’s an EVE-UNI Caldari themed fleet (because why not) vs a TEST HML Caracal fleet. UNI: Unmindlinked Vulture Boosts, 1 Rokh, 1 Rapier, 3 Drakes, 4 BlackBirds (this is the UNI after all), 8 Caracals, 1 Moa, 7 Ospreys and a plethora of frigs and dessies. TEST: 28 Caracals, 13 Scythes, 6 Stabbers, 6 Thrashers & an assortment of light tackle. If I had told EVE-UNI we were going into null, some of those pods would have not been quite as pricey (though the pilots were happy to lose them given the fun we had) and the ISK war would reflect more how ridiculously even the fight was. We met on the gate and started dropping all the bubbles. TEST quickly blapped through our lighter ships that could not hold reps, leaving us outnumbered almost 2-1 in raw ship values, though we of course had the stronger logistics and were rolling a bit heavier. Despite receiving insane DPS and mad target switching from the TEST FC, our logibros were on point and kept our ships with sufficient tanks to catch reps alive. Equally, we did not have the DPS to break the TEST Caracals unless I could get out Vulture and Rokh involved, which essentially meant i spent the entire fight trying to herd the UNI (and TEST against their will) into Blaster range, which was not a particularly easy task. In the end the TEST FC got wise to my tactics and we just weren’t breaking them any more, but at that point TEST was between us and home, so we pulled up our sleeves went for a third engagement to try and break home without having to traverse B-D (Goons home system). At that time, N3 decided to come in with a Proteus and bunch of bombers to start torping our Vulture, however bombers are not known for their great tank and were dispatched in short order. I was told that some of the fight had been FRAPSed so hopefully I’ll be able to edit this with an upload of that too. I actually wrote the first half of this post, then took this fleet out and decided to chuck it in. This all started on a standard Waffle shield BC roam, where our good PLbro Captain Morgen (FC of the Artybal fleet I wrote about some time ago, to this day my favourite fleet in my EVE career) brought along his Blaster Naga and was extolling its virtues. After that, we spoke over IRC about the fit and he commented I should take out a fleet of them, which is exactly what I then did. There was a lot of controversy over this choice of hull for it’s job, both in Waffle forums and when my last post here got into reddit, however everyone agreed afterwards that the ships performed better than expected, and are worth further testing. This fleet actually got off to a bit of a rough start, with a few of our key pilots being ~20 jumps out, and the guy who imported our Nagas who shall be only named under the pseudonym “Jewiapek”, fitted thermal ARMOUR rigs and 1MN MWDs on the ships. Still, the troubles were sorted out in good time and we headed out for some explosive research into the effectiveness of this fleet concept. Long story short, we got blueballed by Placid locals, BNI, Rote-Kapelle and EVE-UNI for 90 minutes, but then by a stroke of luck ran into an almost identical gang from Black Shark Division on the way home. They had 3 SCimis vs our 4 Scythes and 1 Scimi, 2 Rapiers to our 3 Huginn and one more Nado that we had Nagas, so it was about as even as one could realistically expect. The results however that we dumpstered them, probably partially due to having 3 Huginns and killing one of their Rapiers straight off the bat. We jumped into them and while they tried to align off they weren’t much faster than us and as soon as our Huginns came into play they started dropping exceptionally fast, despite them putting multiple of out scythes into structure or low armour. As soon as they realised they weren’t breaking our Logi they left the field, which has prompted me to want to have a dual-long-point Lach in this fleet concept rather than the third Huginn (I had only planned for two at the start anyway). A couple more Nagas wouldn’t hurt either, but I was totally happy for a first test of this fleet concept. The only other change I would make would be to swap one of the Adaptives for a second LSE on the Nagas (admittedly requiring an ACR) which will increase the buffer substantially and greatly help with cap. Since Brave Newbies Inc. moved into Rahadalon in March, which was two jumps from Waffles staging system in Assah, we have maintained a good working relationship with them. Having said that, I was rather surprised when I looked over from my station-trading toon to my main to find a convo request from Le Petit More, a BNI FC and my main contact point with them in the past. To be honest we hadn’t really seen much of BNI since we left Assah in April for Todi, but I’m glad he remembered us. LPM told me that a BNI frig fleet had somehow tackled two Nocturnal Romance Capitals 15j from us and needed some DPS backup to take them down. I rage-pinged in IRC and we undocked with our core shield BC fleet in under two minutes, with more people catching up as they could. We landed on field and started applying DPS to a chimera, who despite triage and an almost complete absence of neuts on our side could not hold the incoming damage, and even though it took a while he went down without much incident. During this time we had heard basically everyone in the local area was forming, most prominently Suddenly Spaceships, most of whom would be jumping in to save the Caps rather than kill them. Just as we switch to the Thanny 8 SS Slowcats drop in and we start losing ships to Sentries. We stick it out to kill the Thanny, giving BNI orders to kill the sentries to piss off the SlowCats and force them to micromanage their drones. After sacrificing a bunch of BCs to kill our second Capital we signaled the retreat and went home, happy with out two kills, as it’s not often waffles get to shoot at carriers (PL hide the keys to the Capital Cupboard and don’t let us have them, apart from on very special occasions or move Ops). This entry was posted in E-UNI, Filthy Piracy on July 13, 2013 by Apoth. There are three types of Brutix fits you’ll see being used regularly, the dual rep, shield buffer and armour buffer. They’re all pretty standard so I won’t bother going into much detail, and I’ll post two significantly different ways to tank the armour buffer Brutix. Mixing in Auxilliary Armour Reppers is also nice, I’m yet to play with them. On the passively tanked armour buffer Brutix, it’s also quite nice to replace the mag stab with a Explosive hardener, then replace the explosive rig with a third trimark, or even go one trimark with kinetiv and thermal rigs, depending on how important resists are to you vs overall EHP. It’s great (if you have the money and the Utility high) to run a small smartbomb to kill opposing drones, with faction smartbombs being somewhat more expensive but providing a good deal more range so you can actually hit the little blighters. I’ve made a table to find the best smartbomb (assuming you’re using 1 small faction one) against the most commonly used PvP drones (ignoring sentries as they don’t orbit you). 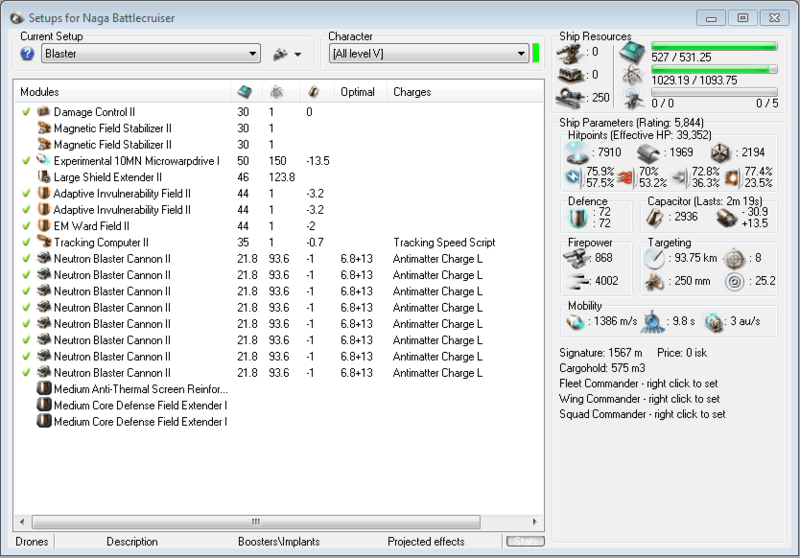 Disclaimers: The data gathered from EFT assuming perfect skills but a hull that does not give bonuses to drone HP. I also do not know how EVE rounds damage or HP so I have assumed standard mathematical rounding procedure (round down for <0.5, round up for =<0.5) but have left the raw figures for re-calculation as necessary, nor have I taken shield recharge into account. So to be honest, it’s all pretty darn close. Thermal is technically the best, beating all the others by one cycle, but to be honest I think EMP is probably the better choice such that you guarantee hits more often in case of the larger drones or omnidirectional tacking links being used. This week I will be experimenting with doing small-gang blaster Nagas, engaging either with null and optimal range scripts loaded or Caldari Navy Antimatter and tacking speed scripts. 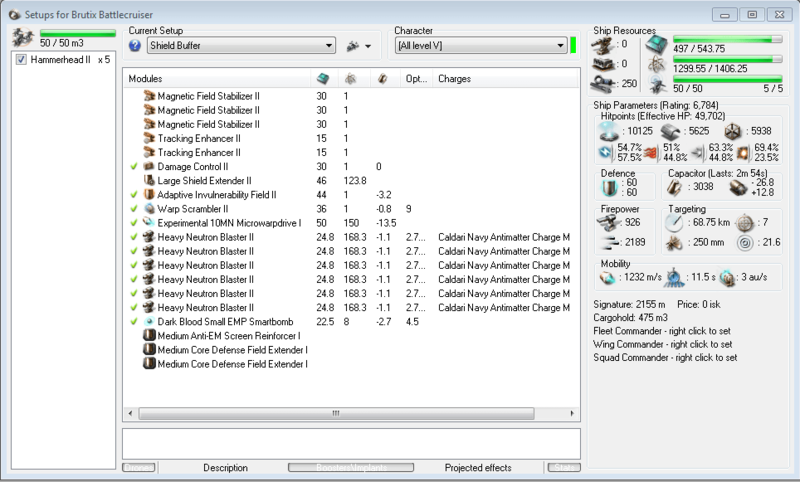 If you lack T2 large Hybrids you can use tungsten ammo for similar damage projection, though your DPS naturally suffers for it. Without tackle mods and Battleship-grade guns these things are going to require appropriate support, so I’m planning on Rapiers, Dictors and plenty of interceptors, maybe even a ‘Razu. In conjuction with that, it needs a few dedicated anti-tackle ships such as Stabbers/Vagas/Cynabals to keep these things safe. Add in a couple Scimis/Scythes and I’m hopingt this will be a nice little compostion to blap things with. This entry was posted in Education, Filthy Piracy on July 9, 2013 by Apoth.